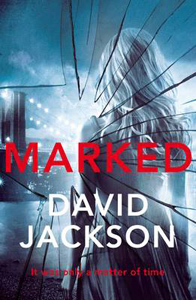 Is DAVID JACKSON a "Marked" Man? 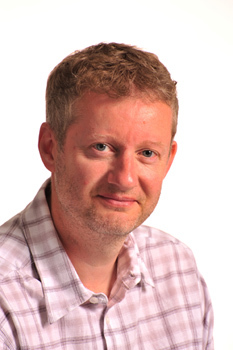 SJI: Welcome to Shots, Dave – it’s great to have you here! Your latest novel Marked has just been released, and I loved it, of course – as you know, I am a huge fan of Callum Doyle and tend to obliterate your books in one or two sittings. Can you tell us briefly what this one is about? DJ: Thanks, Susi. It’s an honour to be invited to take part. Well, Marked takes its title from the fact that the book opens with the finding of the body of a teenage girl who has a tattoo at the base of her spine. Doyle believes he knows who the killer is, but the problem is he can’t prove it; and, as the story develops, we see that his obsession with pinning this murder on his suspect leads him into some very dangerous territory. SJI: Where did the idea come from? DJ: Pariah, my debut novel, ended with some issues still unresolved for Doyle, and so one of my aims in writing Marked was to tie off those loose ends. The novel therefore has two parallel strands: one in which Doyle goes overboard in tackling a very devious suspect, and another in which we see the return of old favourites such as the monstrous Bartok and the Internal Affairs cop Paulson. Put together, these two things really put Doyle through the wringer this time. SJI: They certainly did! It’s fairly unusual for a British author to set an entire series in the USA. What made you decide to do this and has it thrown up many challenges? DJ: It largely goes back to my influences. I was brought up on a diet of American comic books, TV serials and movies. Even today, most of the crime books I read are by US authors. New York in particular is a place that has always fascinated and intrigued me. While I wouldn’t go as far as Lee Child, who has said that he grew up feeling he was a misplaced New Yorker, I certainly feel an affinity for the city. Yes, setting a series there gives rise to certain challenges, but isn’t that half the fun of writing? If we all confined ourselves to what is familiar and comfortable, there would be few historical novels, no science fiction novels, no Harry Potter. What it means for me is that I have to do a lot of research to make the novels convincing, and that entails going beyond superficial details such as how to get from Central Park to the Chrysler Building. It includes things such as attitudes, behaviour, ways of life and speech patterns. SJI: Well you’ve got the language spot on (from the point-of-view of a non-American who reads a lot of American fiction) – is this all from watching Dirty Harry films or do you have anyone who advises you on the authenticity? DJ: No advisor other my own internal censor. One thing I think I am quite good at is hearing voices in my head (!) Although I’m not particularly good at vocalising accents myself, I can picture my characters talking, and I know what sounds right and what doesn’t. It’s a tricky thing to get right, and again requires a lot of research (in other words, it’s a great excuse to watch lots of movies!) I know how jarring it is when a foreign author assumes that all English characters say ‘what-ho’ and ‘spiffing’. Fortunately, US readers of my novels have attested to their authenticity. SJI: Well that’s great, but I’m assuming you still have to make some arduous research trips to NYC? DJ: It’s a tough job, but somebody’s got to do it. Another trip is on the cards for this year, as a matter of fact. SJI: Doyle is a complex character, in some ways a stereotypical maverick cop, yet he manages to exist as anything but a stereotype. Where did Callum Doyle come from? How did you make him so real? DJ: I think you hit the nail on the head when you say that he’s complex, and I think that’s one of the things that helps to make him real. Real people are complex. We go through a range of emotions, we have days when we’re up and days when we’re down, we do things we really shouldn’t and that we may later regret, and we make bad decisions. Doyle does all of those things. He can be the most likeable guy in the world, but sometimes he acts like an idiot and can seem detestable. His heart is in the right place, but the dilemmas in which he finds himself push his resilience to the limit, and he finds himself doing things that are not always above board, just as any of us might in the most extreme circumstances. Another thing that helps him to appear real is that he’s basically an ordinary guy. I was getting a bit bored of, at one extreme, the emotionally stunted hero with a drink problem and a divorce on his hands, and at the other end of the spectrum, the superman figure who can do no wrong, wins every fight he’s in, and beds every attractive woman he meets. Doyle is somewhere in the middle, and that makes him easier to identify with. He is happily married and has a daughter, and he doesn’t have a drink problem. One thing he does have, however – and many readers have applauded this – is a sense of humour. I think it was Mark Billingham who remarked that he could never believe a police procedural in which there were no laughs. All the police officers I have met like nothing better than to share a good joke or an amusing anecdote – I don’t think they could get past some of the things they see and experience without that ability. SJI: Oh I definitely agree with that. So, what’s next for Doyle? Can you tell us anything about book four? DJ: Book four is being written now, and I have to say that I’m very excited about it. It’s based on a simple idea, but I think it’s very ‘high concept’. It’s quite a departure from the previous books in that the killer has as much of a role in the book as Doyle – perhaps even more so. I can’t say too much, but what I want to test in this book is how much it’s possible to persuade readers to sympathise with a serial killer! DJ: Just as I think it’s important for authors to read widely, I believe it’s beneficial to write widely too. A short story provides the ideal opportunity to try out something totally different without the worry of committing yourself to a major project that might not succeed. I love writing short stories, and wish I had more time to do them. I do have ideas for other novels too. In fact, I’d like to write one, or perhaps even a series, set in the UK. Watch this space! SJI: Excellent! You were ‘noticed’ when Pariah was highly commended in the CWA Debut Dagger competition. How different was the excerpt you wrote for that compared to what became the finished book? How much did the competition aid you in getting to where you are now? DJ: I think the beginning of the book wasn’t very different from that excerpt at all. It was the only part of the book that had received external scrutiny and approval, so it made sense to stick with it. I believe the Debut Dagger accolade was enormously beneficial for me. Although it was no guarantee of publishing success, I’m sure it made agents and publishers sit up and take notice. I would strongly encourage budding crime writers out there to give it a go. SJI: Good advice. Like many authors, you still have a day job, not to mention a family. How do you fit it all in? DJ: With difficulty! But, to be honest, if I couldn’t find time for something I claim to be passionate about, then I would question whether I was doing the right thing. I tend to write in the evenings and at weekends, and I’m fortunate in having the support and encouragement of my wife. Without that, I don’t think I could succeed, as family has to come first. SJI: Of course. I love discovering new authors and I’ve come across some fantastic ones over the last year or so. Do you like to read books by new authors, and if so, who do you think we should be looking out for in 2013? DJ: Like you, I love discovering new authors. One name I’m hearing great things about right now is Malcolm Mackay, who has written a trilogy that begins with ‘The Necessary Death of Lewis Winter’. Interestingly, Malcolm is published by an imprint of Pan Macmillan, sets his books in a city in which he doesn’t live, uses short snappy sentences in the present tense, and has a protagonist called ‘Calum.’ Can’t be bad, can it? DJ: It’s that one – the one you’ve just asked. And the answer is that it’s that one. SJI: Hmm… I suppose I asked for that… Thanks for talking to me Dave, best of luck with Marked – I hope it brings you a whole new legion of fans! DJ: Thank you, Susi. It’s been a pleasure.